taking the shape of memory. 2015 was the opposite of 2014. 2014 is when we took our trip to Scotland: I had that trip planned out to the last detail. I knew exactly where we were staying in three different cities, had reservations and train tickets in my hand before we left. It epitomized the way I like to run my life: I know exactly what is going on well in advance with no surprises. 2015 is a poster child for Best Laid Plans Go Awry. Mr. Crankypants gets loaded up on the stretcher. 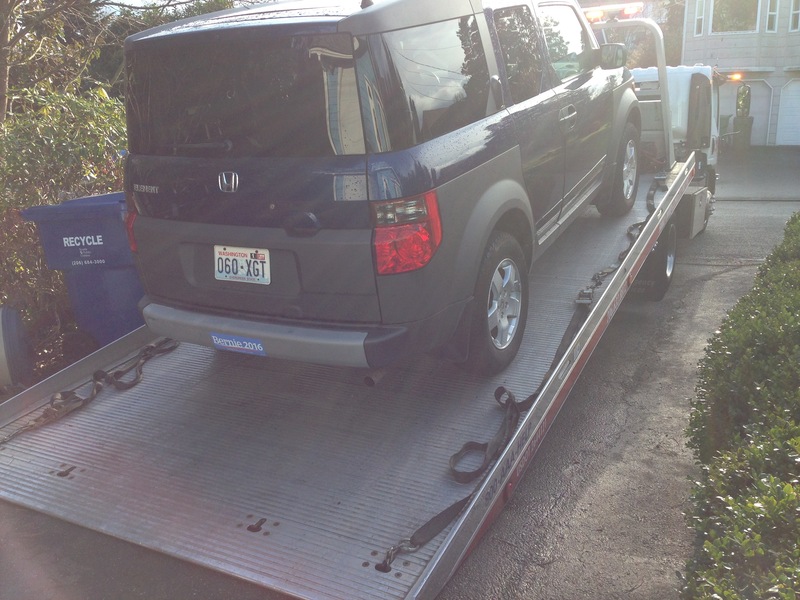 It was towed to Lynnwood Honda and dumped like a steaming turd in their parking lot. Finally, it got what it apparently needed: a new starter. That was just a few weeks ago and so far so good. I really hope we are done with repairs on this thing, ’cause our other car now needs about $900 worth of repairs. Then there was Sketch the cat. His diabetes returned in June with pancreatitis in tow. 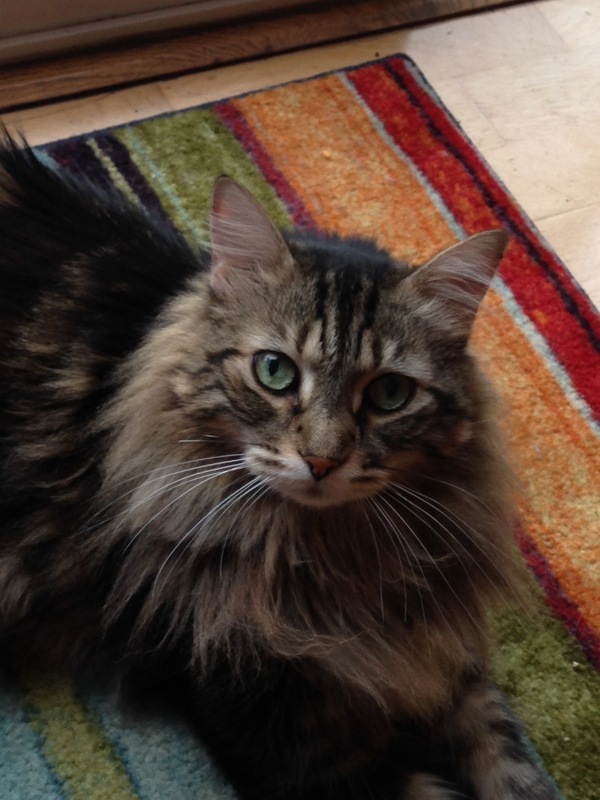 After using up three of his nine lives, he moved into Unpredictable Land. We just can’t get this guy regulated (on a consistent dose of insulin that gives him good blood glucose numbers through out the day). His preshot numbers range from 142 to over 500. So some days I think I’m going to test and shoot and then leave the house and do something productive, and instead I end up pricking the cat’s ear repeatedly and worrying if I leave I’m going to come home to a cat in a hypoglycemic coma. This was also the year I experienced the malfunction of an internal organ serious enough to remove said organ. My gallbladder came out June 30, the same day Sketch went to the ER for pancreatitis. What a life! On the bright side, although a trip I’d planned to Sravasti Abbey in August got waylaid because of wild fires, I managed to go at New Year’s and it was awesome. How was your year? What do you have planned for this coming year?